New News by the Centre for Advancing Journalism is the nation's leading forum for public discussion of the strengths and ills of journalism and the news media. Over three days of panel events, workshops and discussions we will take the conversation about the present and future of journalism to the people who matter most - you, the audience. 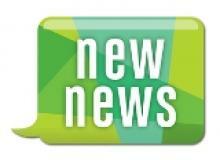 New News will explore how to make the most of the opportunities - and deal with the challenges - of new media. We will talk about covering violence against women, youth media, surveillance and sources, paying freelance writers and the blurring lines between journalism and PR, to name just some of the topics covered in 20+ sessions. New News is not an industry talkfest, nor an academic conference. It is an ongoing series of conversations, designed to provide our community with occasions to talk about journalism, why it matters and how to do it better. If you are concerned about journalism and how the public are informed, the New News is your chance to enter the debate. New News is being presented in partnership with The Wheeler Centre from 8-10 October, 2015. Principal Supporter: Swinburne University of Technology.